1 Review(s) | 후기를 남겨주시면 5 포인트를 드립니다. With this product, you earn 48 Reward point(s). 48 points = $0.48. medicine, which believes sickness and ailments can be healed with consuming certain foods and drinks. Persimmon leaf may be an effective weight loss remedy, as it stops fat from entering the bottom, according to the Wild Crops website. The website asserts that persimmon leaves were ingested by the Native Americans, and research has proven that the leaves can lower lipid levels. The persimmon leaf’s ability to reduce lipid levels is due to its high fiber content. Persimmon leaf tea has long been an effective herbal remedy in Japan, and researchers in the country have discovered that the leaves contain astragalin, which stops histamine release and can be beneficial to people with pollen allergies. According to “Chinese Medicated Diet,” a textbook published by the Shanghai College of Traditional Chinese Medicine, persimmon leaves can also cure irritability and rapid pulse, which can be allergy symptoms. 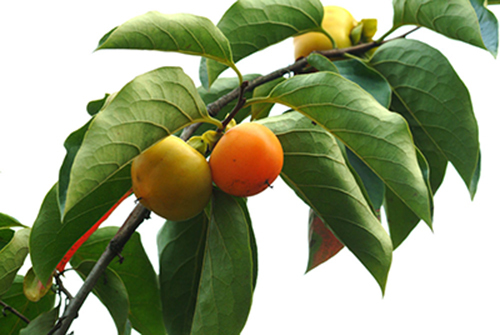 Persimmon leaf tea can regulate the body’s metabolism, according to the Natural Persimmon website. The site asserts that this is due to the rutin in the tea, which makes the blood’s choline tube more supple, increases blood flow and regulates blood pressure. When the body’s metabolism is raised, this can make weight loss efforts more effective, according to the Local Harvest website. Longevity Magazine, a publication in Japan, asserts that persimmon leaf tea can prevent melanoma, or skin cancer. The tea protects the body from carcinogens, and is safe for individuals over the age of 12 to drink without any known side effects, according to T & H USA Group, Inc.
Persimmon leaf tea has several nutritional benefits. According to the Natural Persimmon website, the tea contains up to 10 times the vitamin C, choline and essential amino acids of many fruits and vegetables. The Ottogi Research Center in Kyonngi-do in The Republic of Korea also states that persimmon leaf tea helps to relieve constipation and atherosclerosis. [Pyramid Teabags] Persimmon Leaf Tea 4 out of 1 5 based on 1 ratings. 1 user reviews.